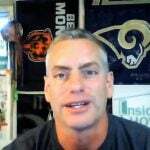 Want To Know Why Your Chicago Home Didn't Sell? 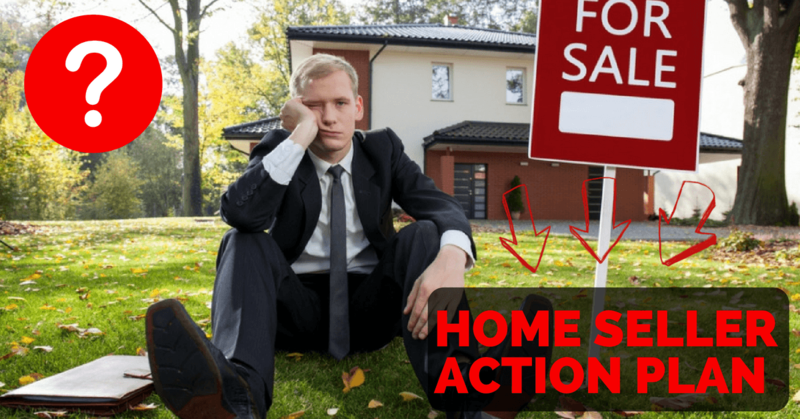 Why isn’t your Chicago home selling? It is most likely because not enough people saw the listing! Check out our latest blog post! We’ll get you up to speed on how to get your house off the market and sold quickly. Price is important, but it’s not the main reason your Chicagoland house didn’t sell. Putting a sign in your yard and listing the home on the MLS doesn’t have the impact it used to have. To be competitive in the Chicagoland market, you need to get your home in front of the largest audience possible. And you need to get in front of that audience on the device that’s in everyone’s back pocket (literally)! Too many real estate agents try to sell your Chicago home using a “dabbler” approach. You know what “dabbling” is? It means CASUALLY marketing your home. Put a sign in the yard, run an open house with balloons, list the home in the MLS – that won’t work in Chicagoland’s competitive market. You cannot dabble – you must DOMINATE! To dominate in today’s market and get your home sold quickly (and for the highest dollar), you need to first be in front of the right audience. Putting your Chicago home on the MLS and sticking a sign in your yard are fine, but they are “dabbling.” You need an agent who will dominate one marketing channel for you and get the job done. Did you know that smartphone users will check Facebook on average 14 times per day?! * Let that sink in. The average user will spend a total of 32 minutes per day on Facebook. * Now, compare that to how many times someone in Chicago will drive past the sign in your yard? How often will they check their mailbox for a flyer of your home How ofter will they see an MLS listing? Studies show that 79% of men and women ages 18-44 will check their phone within the first 15 minutes of waking up in the morning! * Facebook has more users than Twitter, Instagram, Pinterest, Snapchat, and Linkedin…combined! It is 10x the size of Zillow! There’s no question that if you want to get your home in front of the largest audience possible, it needs to happen on Facebook. Specifically, your real estate agent needs to be trained on how to run a paid advertisement that shows up in the “Newsfeed” of everyone else. Think back to how you started reading this free piece of content to begin with…remember where you saw it? 🙂 Your Facebook Newsfeed. Real estate agents who know what they are doing will do the same thing with your home and will not only help you tap into the largest Audience agailable in your market, they will also leverage Facebook’s targeting and get your home in front of people based on age, income, zip code, preferences, and many other available criteria. The second step is to have a message about your home that actually gets a response from Facebook users who see it! It’s one thing to say “123 Main Street is for sale!” That’s the kind of stuff you see on a sign in the yard, or in the MLS. It’s just data – pure information. But it’s not marketing your home. Marketing isn’t simply communicating data. Marketing is “saying and displaying” what your home has to offer (compared to everything else) and calling potential buyers to ACTION as a result. Remember how you found this particular resource you’re reading in your Newsfeed on Facebook? The “audience” was obviously correct! 🙂 BUT…you still had to CLICK on the actual ad. What made you click was the MESSAGE. Specifically, the VALUE and CALL TO ACTION. The same is true when trying to sell your home. You need to be in front of the largest audience possible (Facebook), and you need to have a strong message that elicits a response. What typically happens when a realtor puts a sign in the yard and lists your Chicagoland home? They “sit back and wait.” Did you know there’s a better, more proactive way?! It’s true! When you run a paid advertisement on Facebook (Audience…Message…), you can actually have a process in place to immediately communicate and follow up with interested people. They give up their information (much like you did), and it enables the agent to make outbound calls to try and get your home sold! Solid real estate agents will have a Process in place that enables them to communicate with people who “raise their hand” on Facebook via phone, email, and text. It is important in today’s busy and distracted world that agents are communicating with interested leads quickly and through multiple channels. With the power of Facebook advertising today, your dream of getting your Chicagoland home sold doesn’t have to be dead! Facebook allows agents to get your home in front of people fast. Think about it. People are glued to their phone. The average smartphone user is on their phone approximately 2 and a half hours a day! * The average user is checking Facebook approximately 14 times per day. If you’ve had trouble selling your home, the right agent can tap into “Audience/Message/Process” on the most powerful channel in the world. Within hours, your home can be displayed to thousands (tens of thousands, hundred’s of thousands!) of prospective home buyers!